There are 5 major systems in the modern home, the foundation, the roof, the plumbing, the electrical, and the HVAC system. The foundation and the roof are the two systems that are neglected more often than not, and are the two systems that do require the most routine maintenance. The foundation of your pier and beam home is causing you concerns, and we are here to help you get to a solution. LA Foundation Repairs is owned and operated by a fourth generation house mover who has dealt with more pier and beam problems than we can count on your hands and mine. 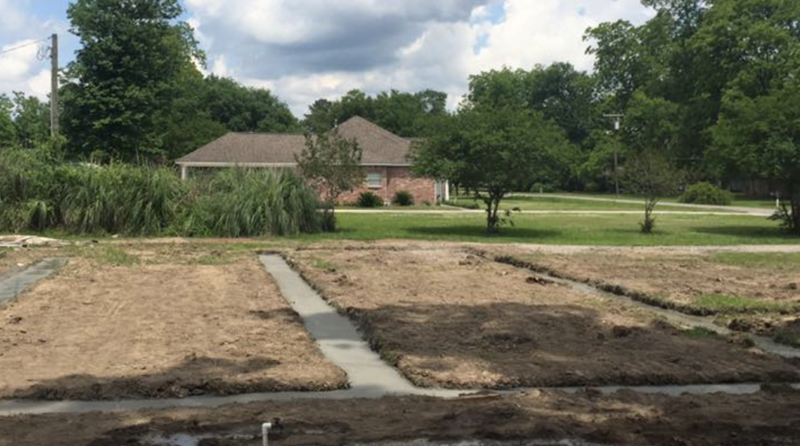 We, La Foundation Repairs, have repaired or replaced close to 500 pier and beam foundations in the Acadiana and look forward to hearing about your foundations problems. Call us today if you have a sink hole, some of your blocks are leaning, or your floor is sagging. LA Foundation Repair can replace beams, add piers to take the bounce out, or re-level the entire structure without getting out the house. Our crews are small and can tackle the projects one bite at a time. Most often a two man crew works on the home one trouble spot at a time until the entire house is sitting on a level foundation. While LA Foundation Repairs is under the home, we often find out that one or two main beams of the home are rotten and deteriorating needing someone to remove and replace the beam. Foundation repair does this service as an additional cost of $40 per lineal foot of sill replaced with a 12ft minimal section replaced. If the homeowner decides to replace the beam while we are there then a charge order will be written and money's collected before the project moves forward. Again, it is not necessary for us to change it, but someone needs to change it. 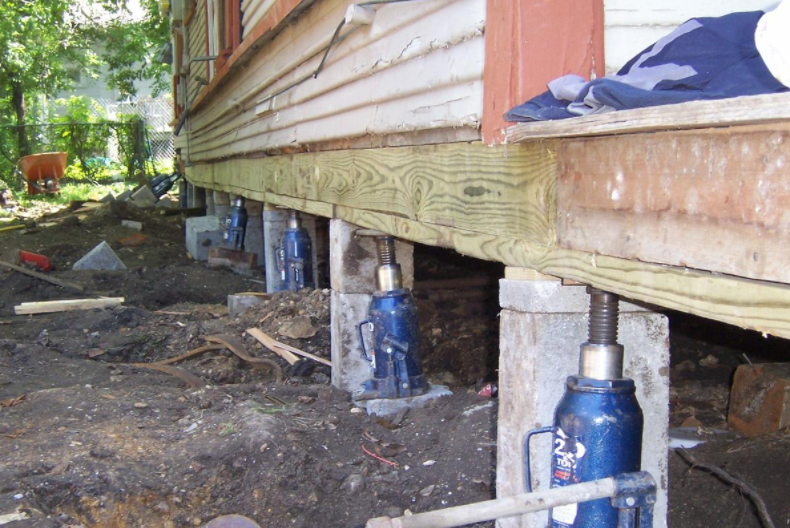 When performing "spot levels", Louisiana Foundation Repairs also notices that house with major powder post beetle damage often need floor joists and rim joists to be replaced in order to property level the home. We only change floor joists with written permission from the homeowner at $5 per lineal foot replaced with 12 foot sections being the smallest length installed, so $60/12ft 2by6 floor joist. Feel free to contact us to get our opinion about your pier and beam foundation. 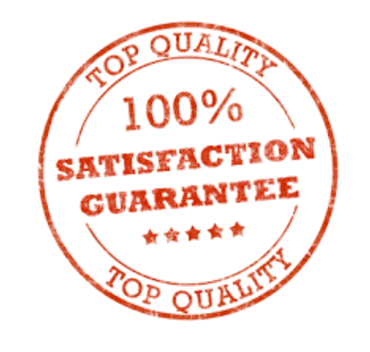 All our prices are in writing with extras being approved by the homeowner in writing. 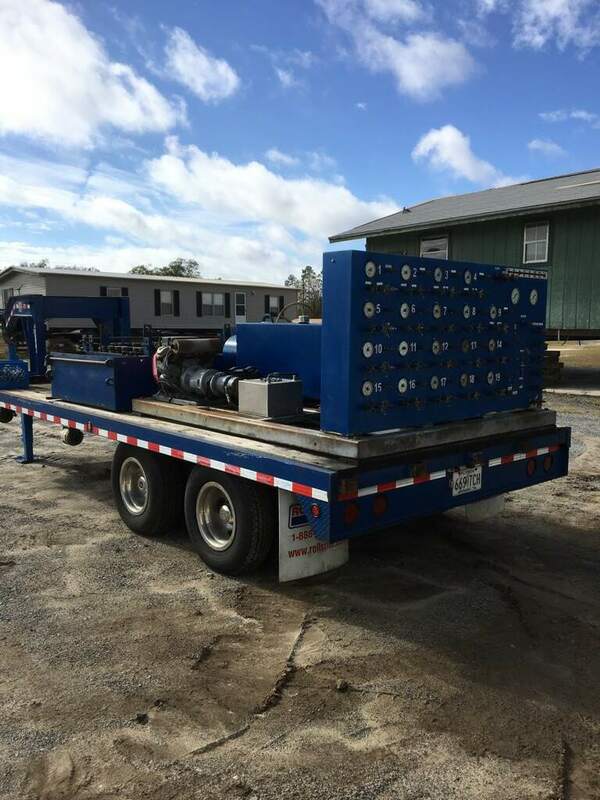 If we are planning on adding piers and beams to the home prior to the lift, then the material shall included in the written quote delivered under material. We don't require our customers to put new termite shields but do sell them at $2/termite shield to make the job look better when we are finished. Most often the old termite shields are rusted through by the time you decide to pay attention to your foundation. ​There are many advantages to living in Lafayette, Louisiana. However, there is one major concern that is often on the minds of homeowners and building owners: flooding. Hurricanes and high waters are not uncommon in this region, and when they occur, there is a lot a stake. Residents can lose their homes and their businesses or suffer huge financial losses due to flooding and water damage. It is crucial to take the appropriate measures to protect your home or building from potential flooding by making sure that the home's finished floor is above the towns base flood elevation in addition to making sure that the rain runoff from the roof gets to the ditch before it gets under your house. If you have any questions or concerns regarding your pier and beam foundation get on my calendar by filling out a contact form and getting your information to my inbox. Thanks for reading this far :)!